Welcome to 2008 everyone! Gong Xi Fa Tsai! I hope folks were able to start the new year off properly and in good spirits. I was pleased as punch this morning despite the 4F reading in the parking lot (that’s -15.5C for those living metric). I can take the frigid temps though, because everyone knows that women who tele are hot. ;) My arm is nearly normal and it didn’t bother me at all! What I love about skiing our local hill is that I can be home in 15 minutes. That’s great for days like New Year’s Day when there are certain foods I have to make… Actually, it’s Chinese New Year that gets me all panicked about preparing the right foods to eat for luck, health, fortune, this, that, and the other. My grandma and mom have scared it into me! But I tend to do a watered-down version during the western new year, because they scared *that* into me as well. I suppose they figure if you hit the traditions on both of the new years, then you’ve got all of the bases covered, right? I am a consummate slacker… Last night we had Chinese hot pot for dinner, but I didn’t put ALL of the special ingredients in (for health, luck, fortune, etc. etc.). And on the first of the year, you are supposed to eat something sweet first thing in the morning so sweet things come out of your mouth all year [insert several jokes about my potty mouth here], but we snarfed a couple of cookies before dashing out to ski instead. I didn’t have any of the Chinese rice cakes or make any of the sweet soups or sweet buns… besides, I would end up finishing it all because Jeremy is not a fan of Asian desserts. Not.A.Fan. And this afternoon, it was a pretty impressive feat that I could muster the energy to roll out Chinese dumplings – the steamed version of Chinese potstickers, for dinner. My mom always made us eat Chinese dumplings because she said it represented money. A few years ago I was searching the web for information on what certain foods represent during Chinese New Year celebrations and I read that Chinese dumplings translated into “sleep together and have lots of sons”! *gasp* Apparently, eating dumplings will translate into whatever you want… I dunno – want flannel sheets this winter? You got it. I eat them. End of story. I gave up a long time ago worrying about what to eat on New Years. :) Your dumplings look like a good way to go…though I don’t want any sons! or daughters for that matter. The dumplings look great! Happy New Year! happy new year Jen! 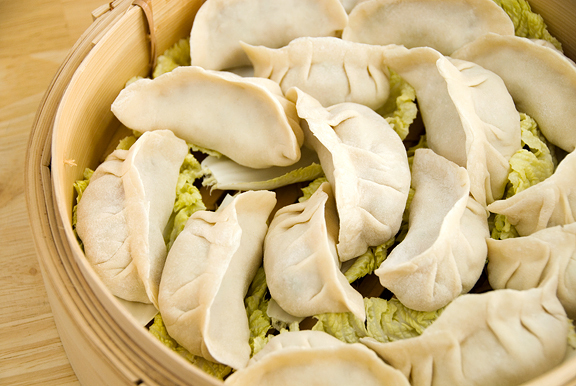 Your jiao zi looks delicious! Your dumplings look great. Happy new year! Mmmm, those dumplings would make my new year happy! Dumplings are quite possibly my most favorite food, ever. 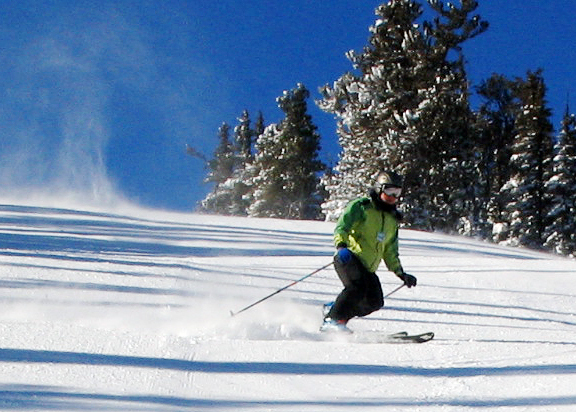 I’m not jealous…You can Ski before breakfast, who cares?…I’m SO jealous! You must have shins of steel by now, lol. Great dumplings, all soft and slippery. Your dumplings look really tasty! Happy New Year! My tummy is sad with no dumplings in it. Happy (Western) New Year! Jen – What I’d give to live so close to some ski slopes. We are far away from any good skiing. Your dumplings are making me ravenous. I need to stop reading your blog before meal times. My husband is also not a fan of asian desserts – too beany, too squishy, squiggly….Big *whatever*, man. Good luck with your Lunar New Year preparations. I’m trying not to get too anxious though I know how fun it will be this year now that I can try to make your dumplings. Happy New Year! Snow…I still remember what its like. Miss it (most times). Lovely dumplings – look delicious!! Kevin – thanks bud! Same to you! Mandy – awww, thanks. Happy new year. 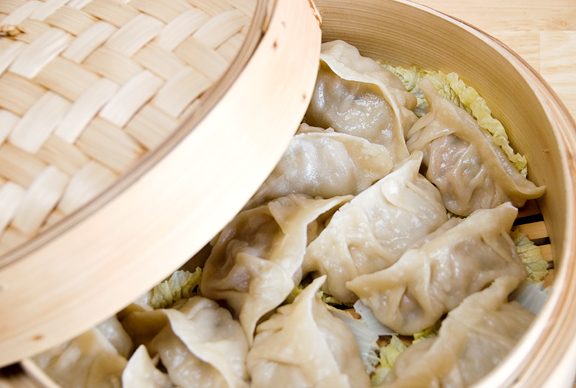 Amanda – moms make the best dumplings, don’t they? Fruittart – I think dumplings used to be my favorite food… when someone else made them! :) I still love them, but it’s that labor of love thing. Graeme – ha ha ha, shins of steel?! My dear man, I telemark ski. We finesse our way down the mountain, none of that brute force alpine crap ;) hee hee! Quads of steel, yes (or so I hope someday…). Chuck – oh! That makes me sad :( Everyone deserves dumplings. I hope you get your fix soon. Happy new year to you too!